Smart Allergy Friendly Education: Daiya - An awesome cheese alternative! Daiya - An awesome cheese alternative! I have been reading through some recent posts on a variety of blogs and website pages and a particular dairy alternative keeps coming up. My family, too, has recently discovered them! We just had them on baked potatoes this past week. Here is a great alternative for those looking to have some dairy-free 'cheese' on their pizzas, burritos and nachos! 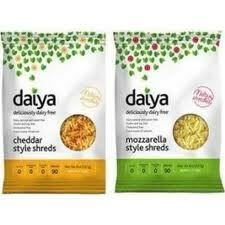 Daiya DF Cheese Shreds Review from S.A.F.E. Daiya Cheddar Style Shreds, manufactured by Daiya Foods Inc., Vancouver, BC, Canada. Ingredients include: FILTERED WATER, TAPIOCA AND/OR ARROWROOT FLOURS, NON-GMO EXPELLER PRESSED CANOLA AND/OR NON-GMO EXPELLER PRESSED SAFFLOWER OIL, COCONUT OIL, PEA PROTEIN, SALT, INACTIVE YEAST, VEGAN NATURAL FLAVORS, VEGETABLE GLYCERINE, XANTHAN GUM, CITRIC ACID (FOR FLAVOR), ANNATTO, TITANIUM DIOXIDE (A NATURALLY OCCURRING MINERAL). 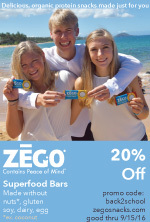 You will find information about possible distributors nearby, recipes, a newsfeed link and contact information. You can also try out their mozzarella and pepperjack style shreds! So, if you're looking for a cheese alternative and have many other allergies, this is a MUST TRY brand! 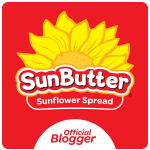 I came across your site on the Circle of Mom's top 25 Food Allergy Mom Blogs. It's given me the idea to start a blog hop for allergies, asthma and eczema - parents or adults dealing with the condition. Please check out the page here and add a comment if you'd like to join. Thanks! Smart Allergy~Friendly Education is a sole proprietorship and NOT a professional or medical organization. I am not a medical doctor or professional. This website does not constitute medical and/or legal advise and should not be relied upon as such. All information and suggestions offered are based on my own family's personal experiences and individual research. My goal is discussion, feedback and further education. As an active member of this blog, you accept personal responsibility for any actions you take with the information shared. You are personally reliable and responsible for taking your family's individual circumstances and needs into consideration before trying any reviewed products. Your qualified personal physician is your most important resource for individual allergy needs.